Johnnie A Craig, 88, of Boonville, passed away Thursday, August 16, 2018 at Ashley Manor Care Center in Boonville. A graveside service for Johnnie will be held at Clarks Chapel Cemetery at 11 a.m. on Saturday, August 18, 2018 with Rev. Don Arnold officiating. Johnnie Austin Craig was born January 9, 1930 in Mendon, MO., the son of Alonzo Craig and Elizabeth Amanda Lancaster Craig. He married Margaret Edna Ash in Boonville Jan. 16, 1951 and they are the parents of five children. 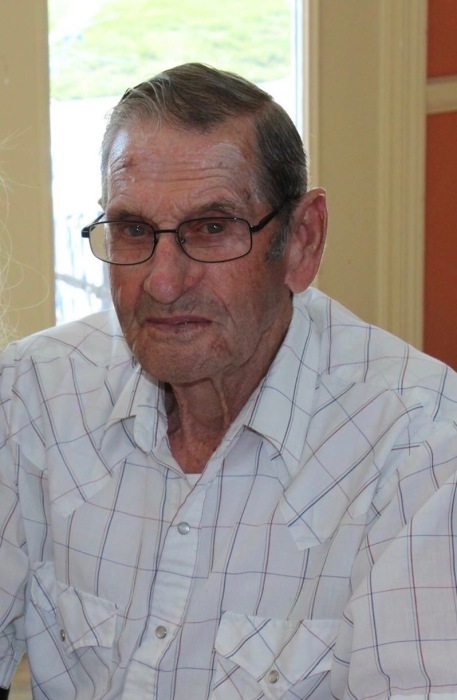 Johnnie farmed most of his life, loved to tinker with motors and loved to do woodworking. Johnnie was a family man that loved seeing the door open and waiting to see which grandkid would run in first. Johnnie was preceded in death by his wife, Margaret, one son, Ricky Lynn Craig and by one grandchild, Kelly Arnold and a great-grand son, Jordan Craig. He was one of 12 siblings that preceded him death. He is survived by his dog, JJ of the home, children; Johnny (Mary) Craig of Pilot Grove, Steve (Becky) Craig of New Franklin, Bill (Sherry) Craig of Bunceton, and Becky Jo (Leonard) Arnold of Warsaw. He will leave an empty spot in the hearts of his grandchildren: Kim Schaefer, Ricky Craig, Kurtis Craig, Chasity Pethan, Lisa Angermayer, Hannah Gerke, Evalena Johnson, Robert Craig and Stephanie Arnold and by his 18 great-grandchildren and two great-great-grandchildren.